1. Based on the character qualifications of 1 Tim 3, where are you the weakest? We followed their answer up by asking for specific examples. We inquired how they are experiencing growth and change in this area. 2. Do you have a budget and how much debt do you currently have? If deacons are exemplary servants, they need to be exemplary with their money. If they are handling finances for the church, we should be handling it well at home. Follow up questions about good vs. bad debt and plans to pay off. 3. Are you in a Fight Club (discipleship group)? These are groups of 2-4 men or women who gather regularly to repent of sin, rejoice in Christ, and reproduce disciples. This ensures that the deacons are in healthy discipleship relationships as they serve. 4. Do you have time in your schedule to commit to being a deacon? We laid out general expectations and emphasized flexible but regularly monthly commitment. Monthly deacon team meetings work to create collaborative environment for ministry. 5. Why do you want to serve as a deacon? This gets to the heart and allows us to see if this is all duty or a calling. Was a blessing to hear some of the responses. It’s no surprise to anyone living in Austin that our city is growing. As of July 1, 2012, USA Today reports Austin as the 11th largest city in the country and the highest growth rate since the 2010 Census at 6.6%. 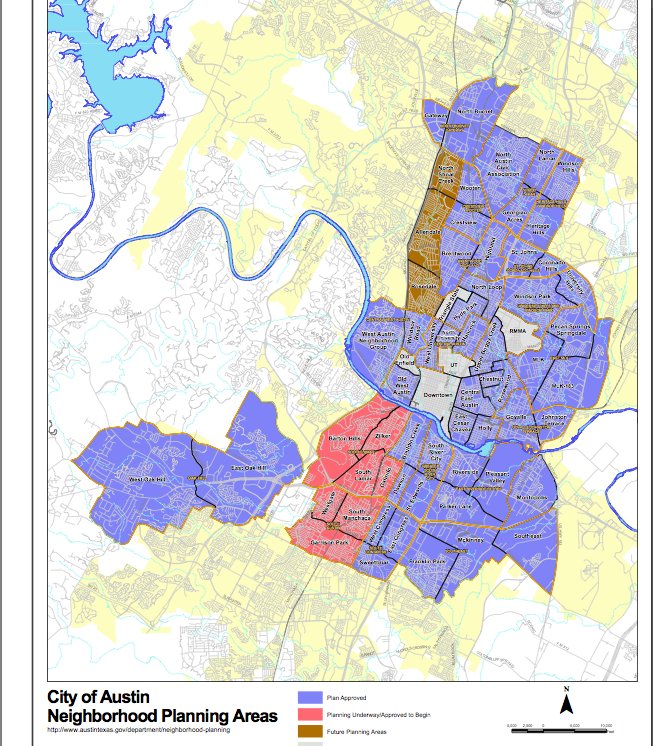 That same month City Planners released an updated schedule for Neighborhood Planning Areas, which channel funding and chart infrastructure to make Austin truly a city of neighborhoods. This, of course, is how many larger cities function. San Francisco and New York both spring to mind. What does this growth mean for church planters in Central Texas? How should this growth shape how we plant new churches? On February 6th, we will hear about this kind of church planting from the future. Jon Tyson, Pastor at Trinity Grace, New York, has established a thriving and multiplying a parish model of church planting in the largest city in the country, New York. Over three sessions, Jon Tyson will make the case for a parish model of church planting as the future of church planting in growing cities. He will share his story of multiplying parishes at Trinity Grace and how to disciple and grow leaders within your church. All of this, Tyson says, requires an understanding of how to move beyond relevance to discerning contextualization. Join us for what promises to be one of our best and most relevant MicroConferences yet.